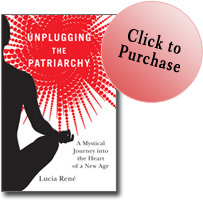 Unplugging the Patriarchy reveals an x-ray view of the world in which we live. It is a testament to feminine power, service, and love—an unforgettable novel that will inspire you to unplug the Patriarchy within yourself. 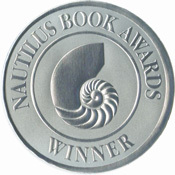 The Nautilus Book Awards honor books of exceptional merit that make a literary and heartfelt contribution to spiritual growth, conscious living, and positive social change, as well as to the worlds of art, creativity, and inspiration. Past winning authors include Deepak Chopra, Thich Nhat Hanh, His Holiness the Dalai Lama, Caroline Myss, and Marianne Williamson. 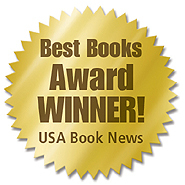 Unplugging the Patriarchy is also the winner of the prestigious Best Books 2010 Award in the category "Fiction & Literature: New Age Fiction". Chapter 4 - Spiritual Teachings on Psychic Development provides a sneak peek at Lucia’s spiritual teacher and some of her mystical training. 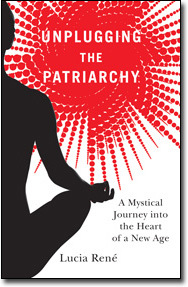 Chapter 12 - The Schematic of the Patriarchy gives you an insider look at how the Patriarchy was constructed over the centuries. Order the book from Amazon or Barnes&Noble. Also from other bookstores by asking them to contact Ingrams distribution. Purchase the eBook in PDF format for $7.00. WEB EXCLUSIVE : Click through photos taken during Lucia's travels to patriarchal hot spots throughout the East Coast of the United States, Europe, and the United Kingdom. To learn more about Lucia and her other offerings, please visit LuciaRene.com.